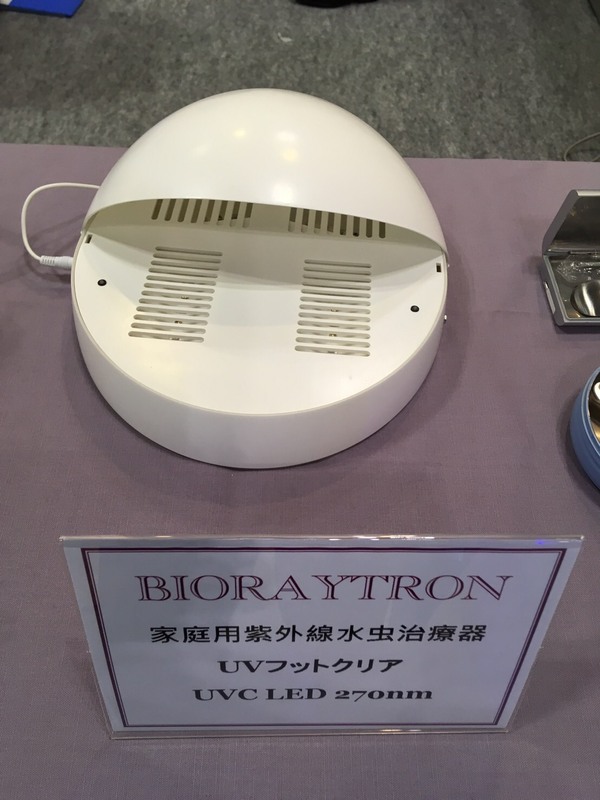 Home > News > [BioOpto Japan 2018] Bioraytron Offers High Lux UV-C LED Module to Enhance UV-C LED Water Sterili..
Professional UV and IR LED manufacturer High Power Lighting (HPL) has partnered with Epileds to establish a joint venture, Bioraytron. 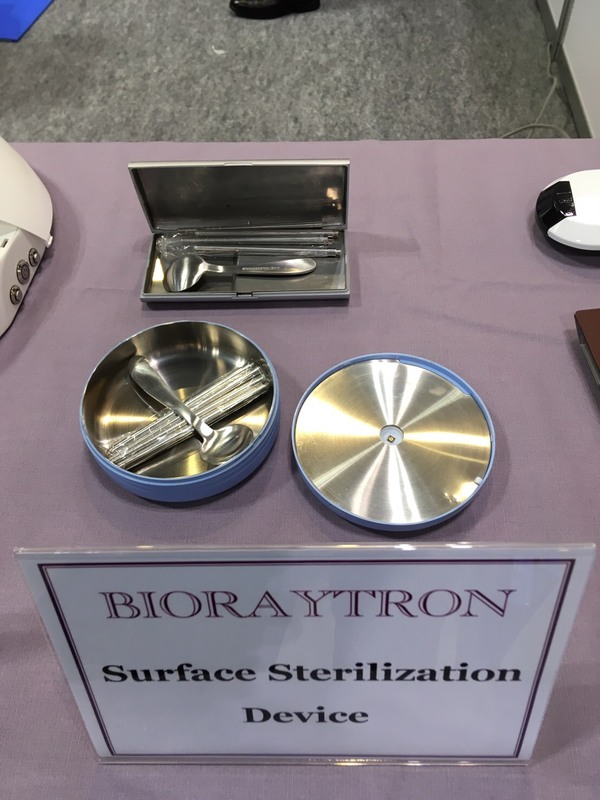 Bioraytron is a DUV LED manufacture company specializing in vertically integration of DUV LED from the production of epitaxy and wafer to packaging. 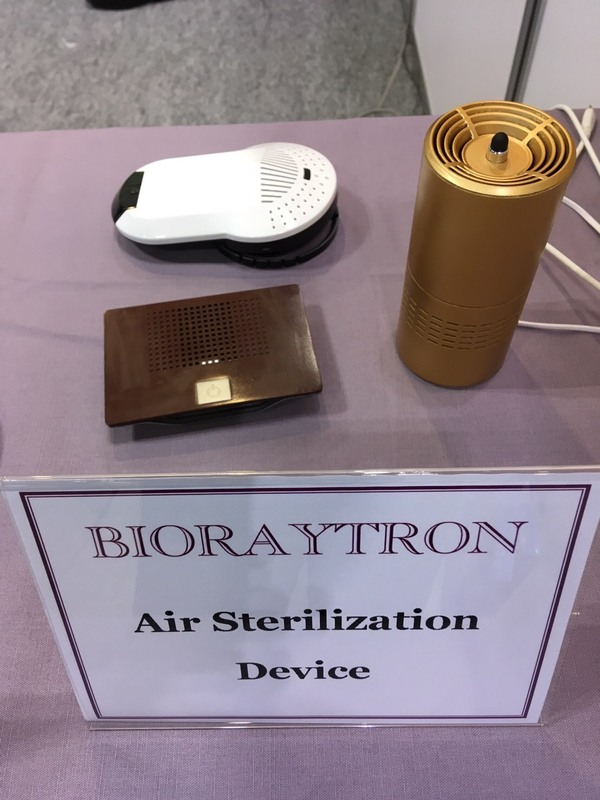 Bioraytron will participate in BioOpto Japan 2018. The 10th BioOpto Japan will be held from October 17th to 19th 2018 in Chiba, Japan. 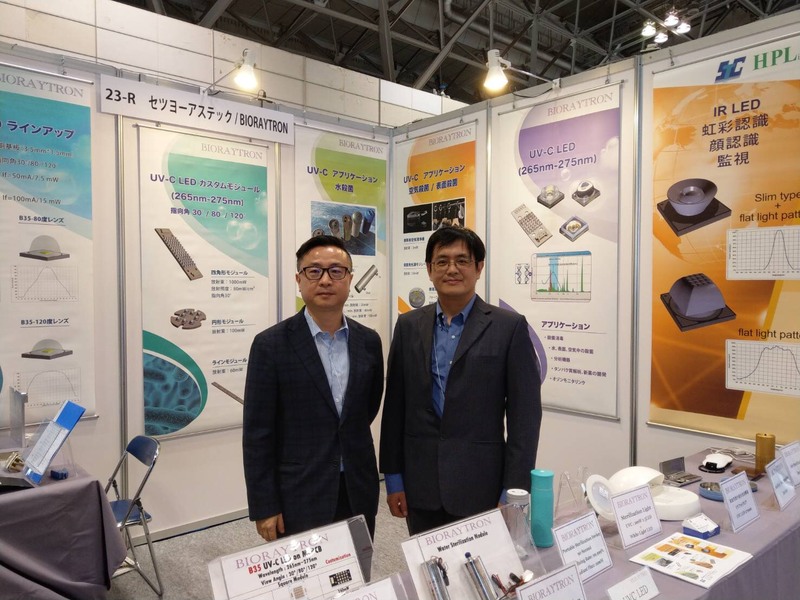 LEDinside is pleased to interview Charles Wei, General Manager of HPL at BioOpto Japan 2018 to talk about the company’s technology development of DUV LED. 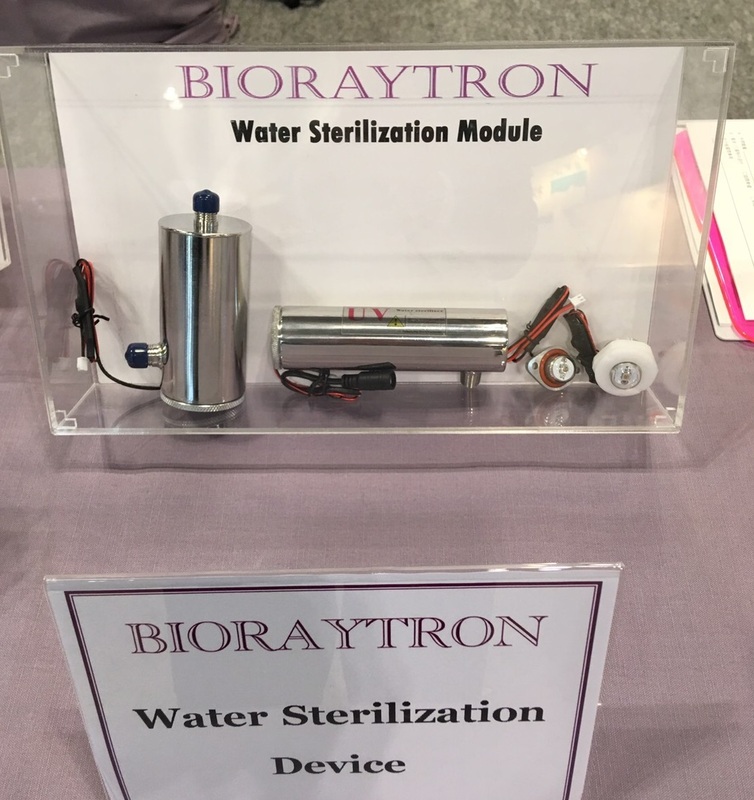 According to Wei, UV-C LED is regarded as an additional value for end product and Bioraytron has partnered with several consumer product manufacturers to design UV-C LED sterilization products such as electrical appliances, food processers, sanitary ware, kitchenware and luminaries. The products will be released in the market soon. 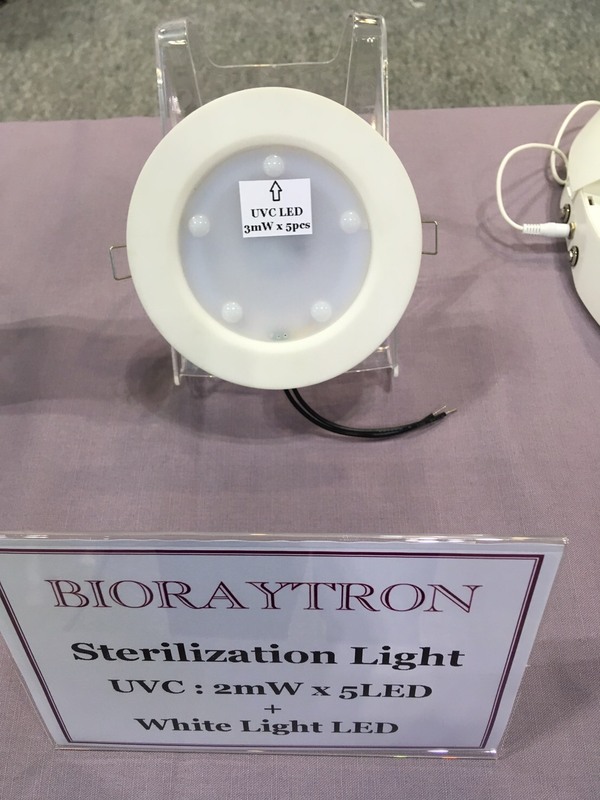 Bioraytron’s B35 UV-C LED series product (3.5mm x 3.5mm) utilizes quartz optical lens and high heat dissipation copper substrate package frame to improve the efficiency of output light while enhance the operation lifetime. The product is available with three beam angle (120°/80°/30°) to reach the most effective sterilization angle with required light source within the wavelength of 265-275nm. The drive currents of the product include 20mA(3mW) /30mA(4.5mW) /50mA(7.5mW) /80mA(12mW) /100mA(15mW) and the luminous power between 3mW to 15mW. 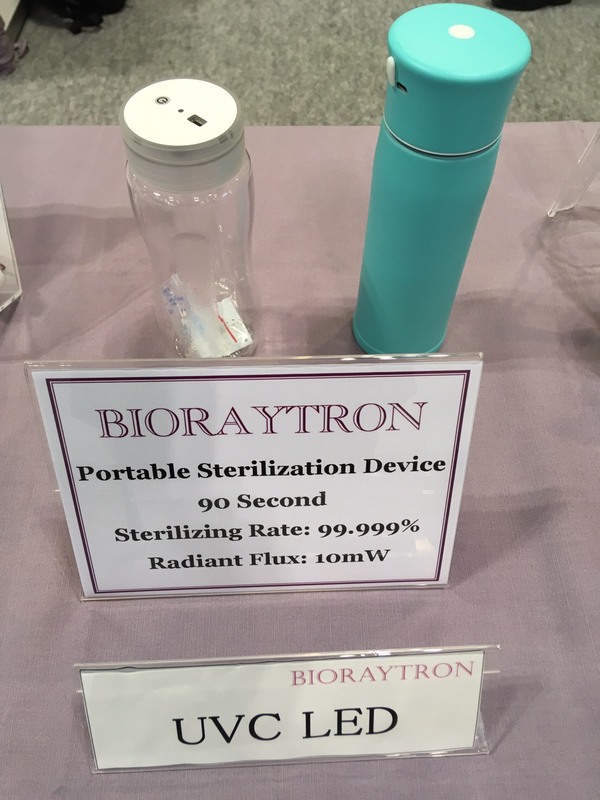 Bioraytron also releases customized module products with output power between 100mW~1000mW and the highest irradiance up to 80mW/cm2. When functioning under flowing water, the products can shorten the time for sterilization. B35 UV-C LED was developed by Epileds and HPL from the manufacturing of epitaxy and wafer to packaging. HPL has offered various sanitizing products in 2018 including the surface sterilizing chopsticks box, air sterilizing product that can be hanged in wardrobes and sterilizing cupboard light. These products will be exhibited at BioOpto Japan 2018. Wei underlined the potential of sterilizing cupboard light as many lighting companies want to diverse and increase the additional value of their products. According to the latest report from LEDinside, “2018 UV LED Application Market- Curing, Medical and Sterilization”, various UV LED applications have emerged in the market in 2016-2017. Base on the revenue of related companies, the market value of UV LED has reached US$ 223 million in 2017 and will grow to USD 1.224 billion in 2022, with 2017-2022 CAGR of 33%. Aside from the steady growth of the curing market, surface sterilization, static water sterilization, and flowing water sterilization will drive the growth of the UV LED market in 2018-2022.